Thank you, lovely! - I really like it too. I think it's a lovely combination. 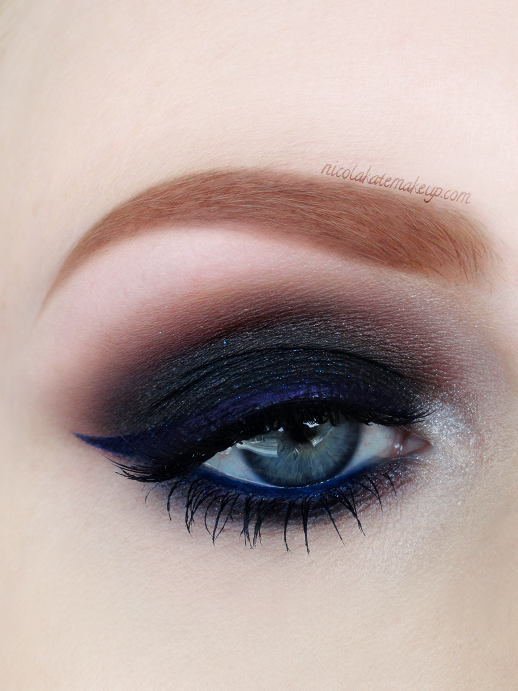 Oooh I love the pairing of a dark blue liner with the black. I've seen bright blues and other brighter colors with black, but never a navy and it looks really awesome. It just adds a lovely subtle hint of colour without taking any emphasise away from the smokiness. I'm really pleased that you like it, Shanna - thank you! Hi hun, nominated you for the Liebster Award! You can check it out here. Aww thank you for that, Ada! I enjoyed reading your entry! Hopefully I'll be able to get around to filling it for myself! Great make up love it !!! Thank you, Natassa! So pleased that you like it!